Culbin Crofthouse Cottages Bed + Breakfast offer you every comfort, with lovely interiors and superb views, if you have not visited this part of the Scottish Highlands let me tell you where we are. 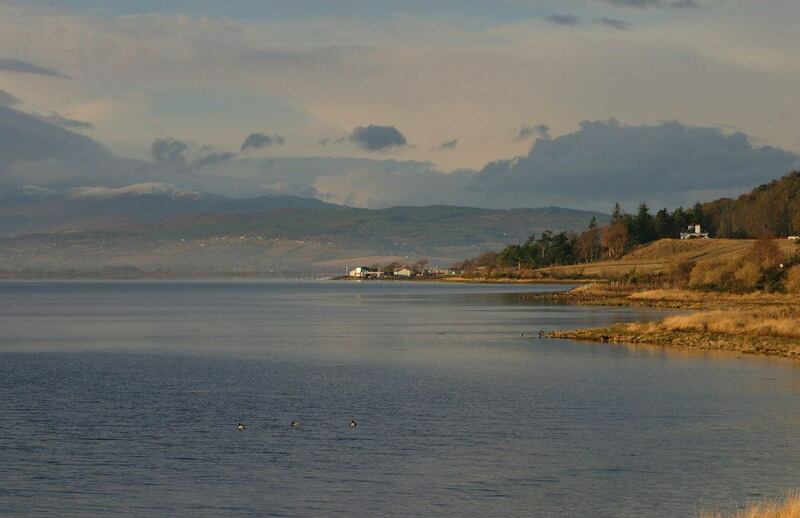 We are situated on The Black Isle at Drumsmittal, just a five minute drive from Inverness City, with Dingwall to the west. We can be reached via the A9 from the south or north, or the A832 from the west. The Black Isle is attached to the mainland at the heads of the Cromarty and Beauly Firths, and the description 'Black' is no more correct than 'Isle'. The exact origin of its name is unknown, though there are at least six possible explanations of why it became the "Black" Isle, ranging from the most intriguing, through its association with witchcraft and the black arts in mediaeval times, to the more prosaic, that the soil here is very black, or that it has so many trees that it looks black when viewed from surrounding areas in Winter. The Black Isle is about 23 miles long by about 9 miles wide at its broadest point and is more or less oval in shape. (in excess of one hundred years ) and modern. We rear a mix of cattle breeds, all are friendly and respond to their name. 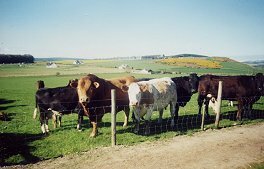 We are a small family run business, we like to think our location can offer the peace of the countryside and also the city life close by in Inverness City. Nearby villages are Munlochy to the North and North Kessock to the South, both offer good food & entertainment and good "crack" (our word for Fun, Conversation and a good Atmosphere). There are village shops, post offices, and banks. Please click on the menu for more information on what to see and do, you will not be dissapointed, we are in a beautiful part of the Scottish Highlands. "So Come And Enjoy" A Warm Welcome Awaits You.